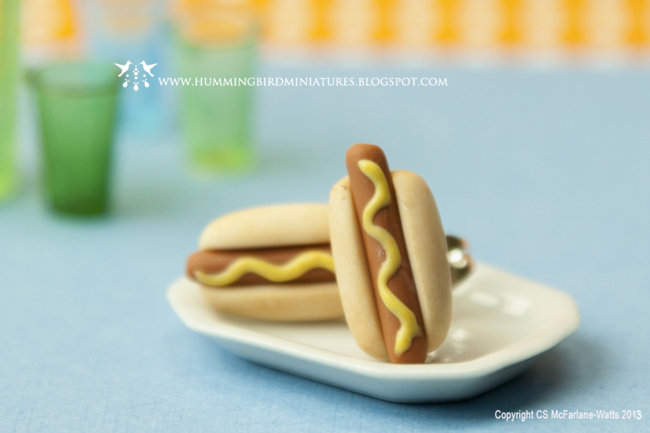 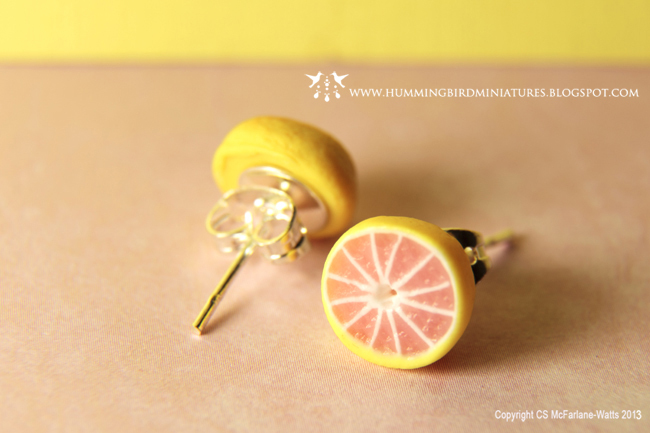 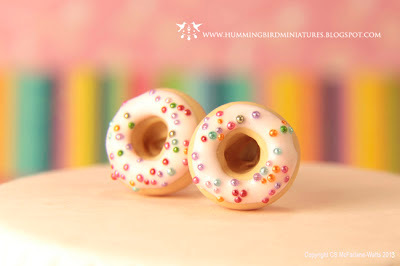 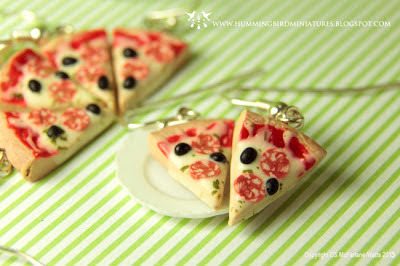 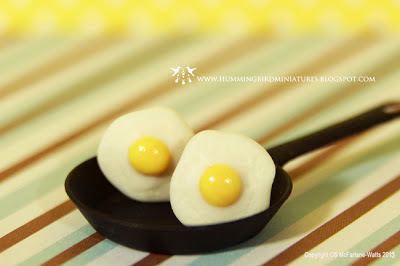 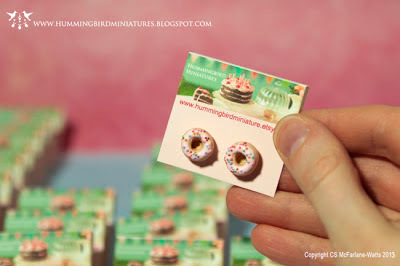 As you may have read in my previous post, I am re-vamping my Mini Food Jewelry Range with lots of new items, but there's still several styles at my online Hummingbird Miniatures store! 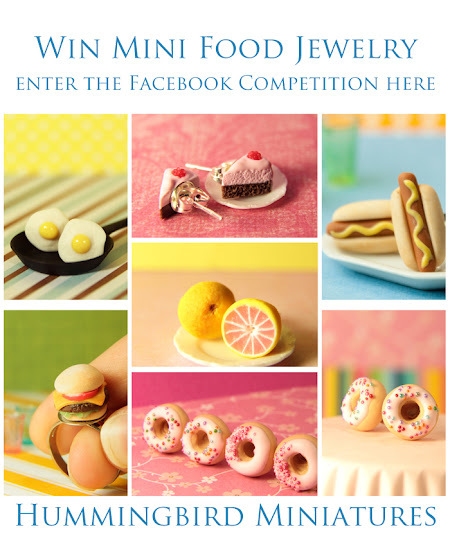 If you'd like a chance to win a piece of jewelry then make sure you take part in the quick and easy Facebook Competition and you could get a pair of adorable cupcake earrings or a burger ring for free. 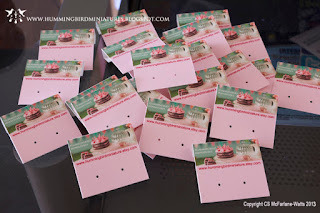 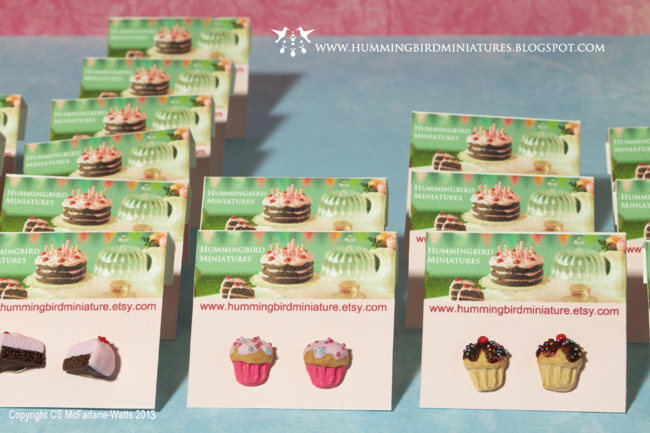 Just head over to my Hummingbird Miniatures Facebook Page and enter the competition here. 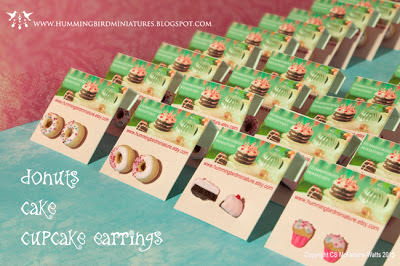 I have been busy participating in a fair recently (with my other brand - see the blog post here) but now that I have more time again I am focusing on my mini food jewelry range. 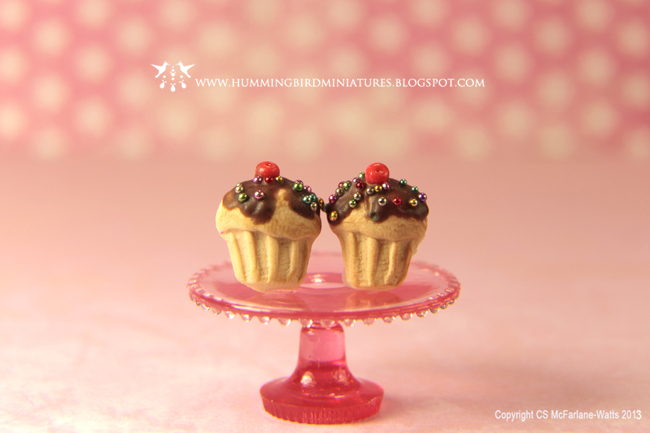 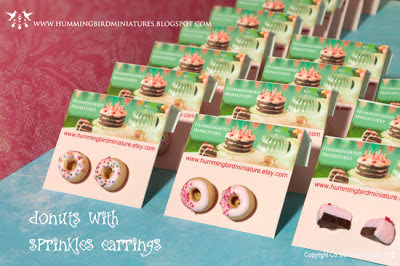 You can find some of my Hummingbird Miniatures mini food jewelry range on Etsy here. 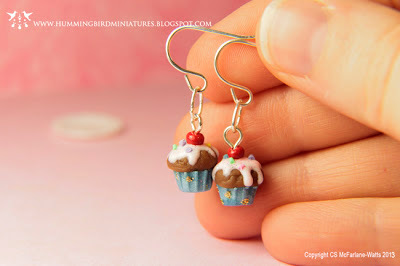 ** Note to my non-US friends. 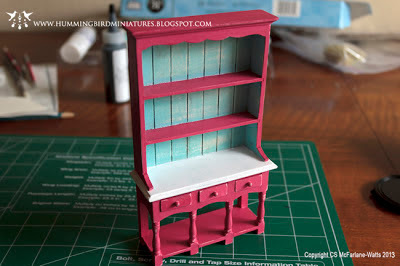 A Welsh dresser in America is called a 'hutch'!!! Using American English on this occasion as I have more US readers than non-US. 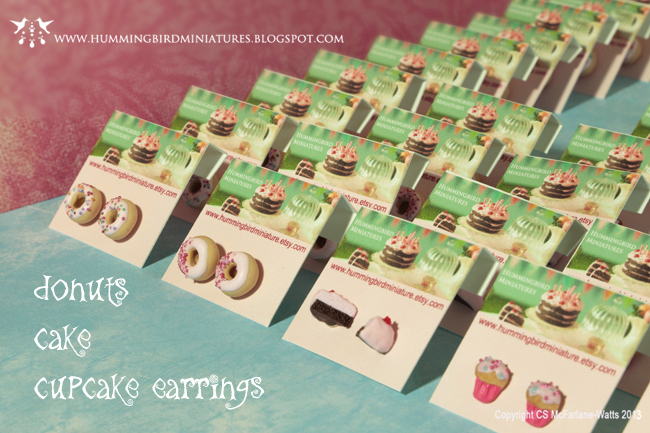 Hope no-one minds and confusion has been averted! Here's some photos of my work in progress. 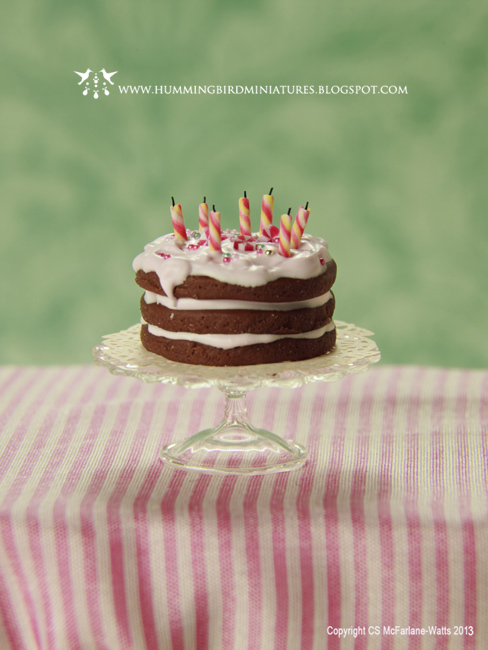 I'm starting by making a Birthday Hutch which will include a NEW candy birthday cake (pictured above). Stay tuned and look out for these finished hutches soon. 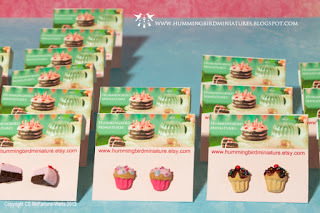 You'll be able to see one or two listed at my Hummingbird Miniatures online shop and others will be sold exclusively at fairs. 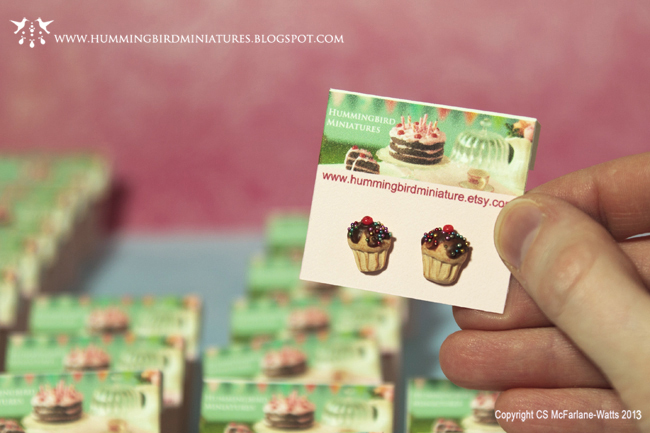 Check here or the Hummingbird Miniatures Facebook page for updates.